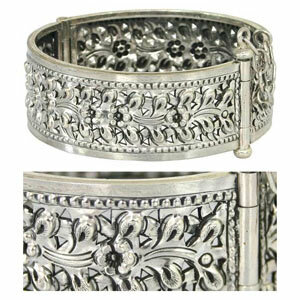 The silver jewelry artisans handcraft this exquisite cuff bracelet. 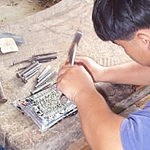 Inspired by the forests of northern Thailand, the artisans use the repoussé techniques to engrave the sterling silver piece with an intricate vegetal pattern. 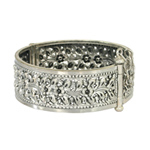 It fastens with a discreet pin and hinge clasp.